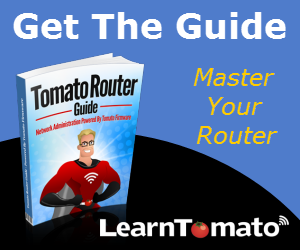 In this section, we’ll discuss how to choose a wireless bridge mode for your Tomato network. A wireless bridge connects two or more LAN segments over a wireless link. Tomato offers various modes, including: Access Point, Access Point + WDS, Wireless Client, Wireless Ethernet Bridge, and WDS (Wireless Distribution System). Some routers offer a “client” or “bridge” mode. Others offer a “repeater” mode. And then there is WDS. Currently, Tomato firmware does not offer a wireless repeater mode. However, it does offer a ‘Access Point + WDS’ mode, which does virtually the same thing. Access Point mode is used for a basic wireless access point. You setup a wireless SSID and password and simply connect. This mode has no bridging functionality. Access Point + WDS mode can be used as both a wireless access point and a wireless bridge. Wireless Ethernet Bridge mode works similar to ‘client’ mode. The main difference is that the router handles DHCP and IP addresses for both routers. Again, this mode does not retransmit wireless signal but you can connect additional devices using the Ethernet ports on the back of the router. WDS (Wireless Distribution Mode) is a wireless bridge mode that connects two or more routers by exchanging MAC addresses. TIP: The wireless modes that we discuss in this section may behave differently based on the router and firmware mod that you are using. If you do not see the wireless options demonstrated in this section, you may need to upgrade your firmware to a different mod. For this demonstration, I’m using the VPN mod built by ‘Shibby’. The AIO (All in One) mod also offers these options. Do you have a two or three story home? Do you have a guest house, garage, or other building that needs Internet access? A wireless bridge might be just what you need. Connecting two routers over a wireless bridge isn’t much more difficult than a wired connection. I’ll show you how to create one shortly but before we do that, let’s knock out some basics. 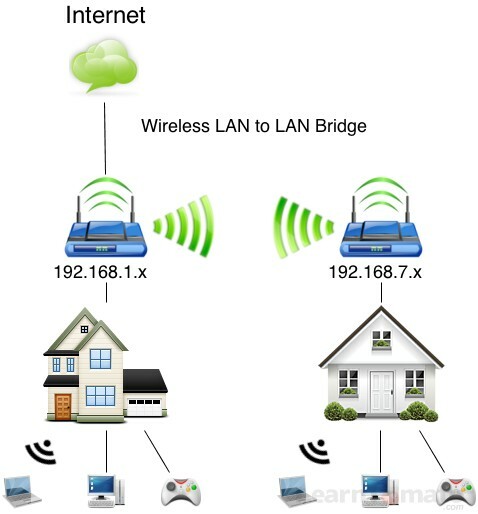 A wireless bridge connects two LAN segments using a wireless link. 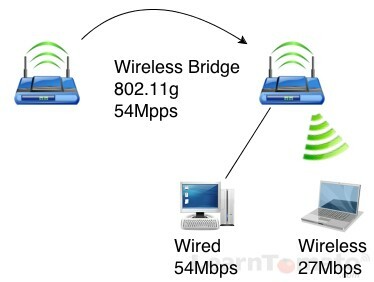 This is known as a “point-to-point” wireless bridge, also called a wireless LAN to LAN bridge. In a real bridge environment, the transmitters only communicate with each other. A true bridge does not communicate with clients at all. The bridge merely connects the two networks and enables wired clients to connect to their LAN ports. Therefore, they do not re-transmit to wireless clients. 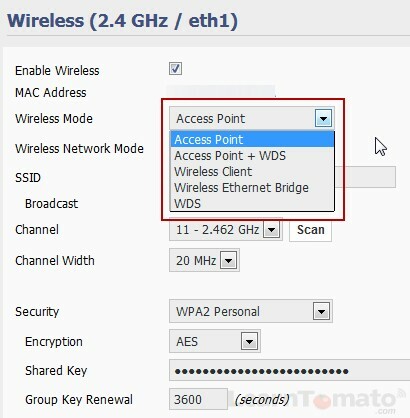 If you want to re-transmit wireless signal with Tomato, you’ll need to use “Access Point + WDS” mode. Be advised that these bridge options are not found on all routers. Both, DD-WRT and Tomato firmware offer wireless bridge capabilities which is one reason they’ve become so popular. DD-WRT has posted a feature comparison chart that may help you understand this better. What are the drawbacks of a wireless bridge? There is a downside to using a wireless bridge in repeater mode and WDS mode. If the secondary router retransmits the wireless signal (instead of connecting client computers with a wire), the wireless throughput in the secondary building will be cut in half. Each transmission is known as a “hop”. The second wireless hop is the one that takes the hit. In the image below, you can see that the laptop connects at a much slower speed. 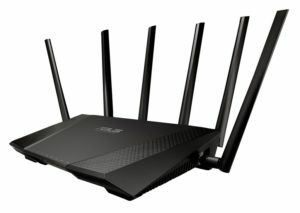 Basically, wireless clients connected to the second router will not enjoy the same performance as the wireless clients connected to the first router. Why? Because the transmitter in the second router has to do twice the work. It must first receive the signal from the primary router, and then retransmit the signal to wireless clients. If devices in the secondary building are simply browsing the Internet and streaming music, you’ll be fine. If however, you plan to stream huge files, HD videos and play games online at the same time, you might experience less than par service. In this case, make sure you have routers with enough power to handle the job. 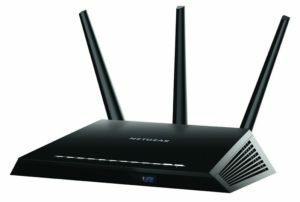 Two wireless-N (802.11n) or wireless-AC (802.11ac) routers would ideal. With two extremely fast routers, you’ll hardly notice the difference. And with today’s dual-band routers, you can decrease the impact of the second ‘hop’ even further. Simply dedicate one frequency band to the bridge, and dedicate the other frequency band to your clients.